After giving birth the second time, I developed eczema. I didn't know what it was but I had red itchy patches on arms and legs. I can't help but scratch until it bled. I had lots of scars on my legs and arms and I couldn't wear dresses, skirts or shorts and I wore long sleeves the whole! It was that bad until I consulted a dermatologist and she said it was indeed eczema! She told me to always keep my skin moisturize! I have found products that worked well but I am always on the look out for more brands and products to add to my eczema arsenal. 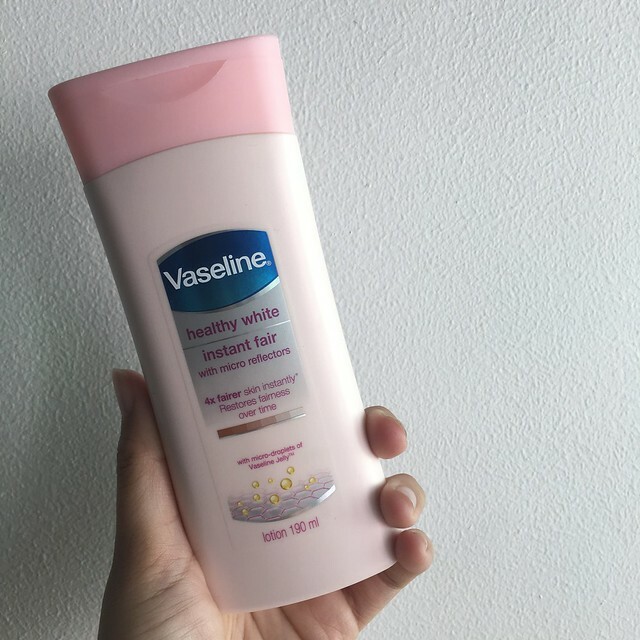 I never knew Vaseline Petroleum Jelly can be a big help for eczema flares so now I'm happy to say that Vaseline is now a part of my arsenal! If you have eczema, you would know that summer is not our friend. Sweat aggrevates eczema that's why my kids and I take a bath twice a day because we get so sticky! But that can also lead to dry skin so I always have to put lotion too. The hot and humid climate can also turn our skin dry plus we are exposed to different factors like hot showers, pollution, air-conditioned rooms, the natural hydration and moisture is removed from our skin. The new Vaseline Lotion is now infused with the wonder ingredient that is Vaseline Jelly, replenishing the skin's moisture faster. 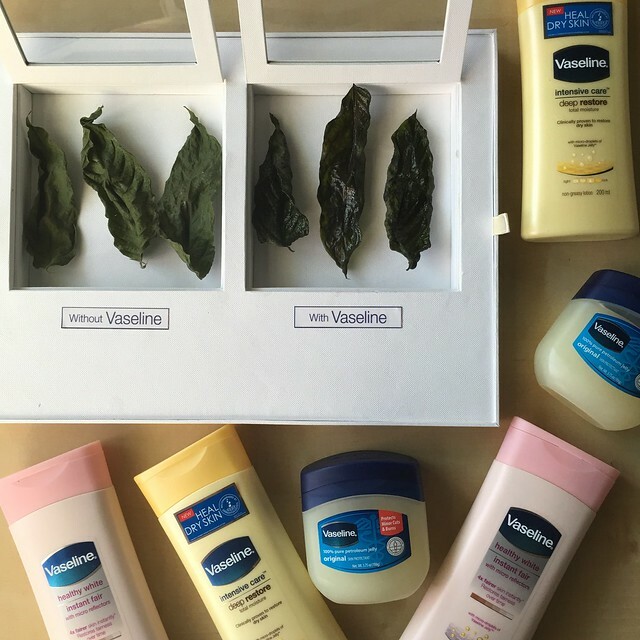 Vaseline also sent a kit with the leaves so we can actually see and feel the difference. The leaves without Vaseline looks dry and about to wilt while the one with Vaseline is lustrous and moisturized! 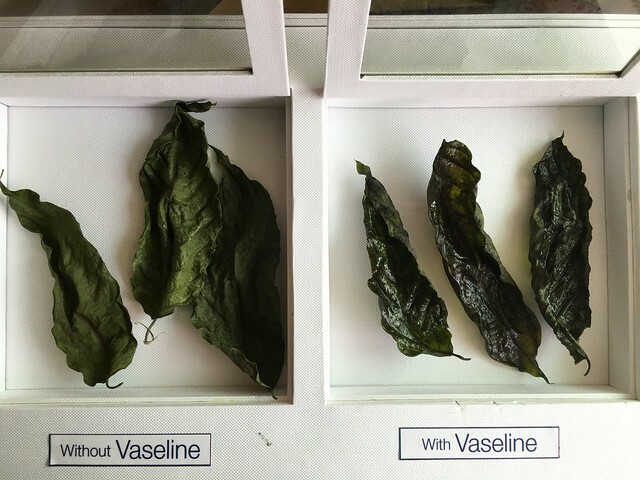 If Vaseline can keep a leaf shiny and moisturized, imagine what it could do to dry skin! The leaves were enclosed in a box, that's why they appeared darker but when I touched them. It's really moisturized! I'm excited to road test my new Vaseline army! 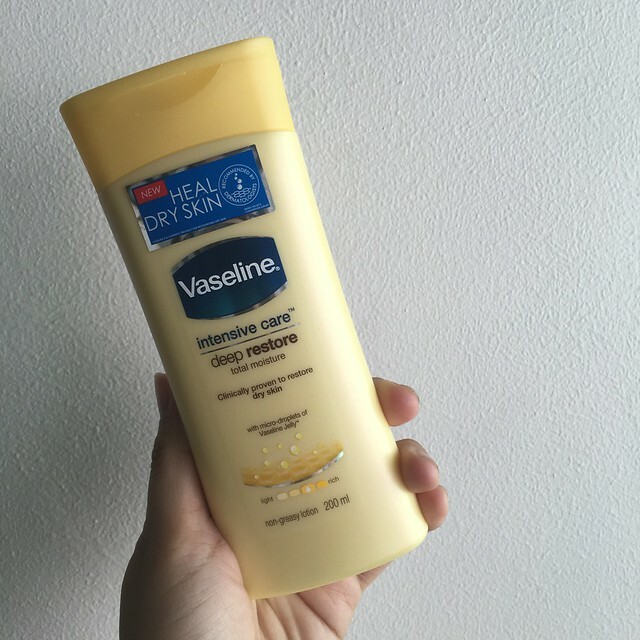 If you want to know the condition of your skin, you can take the Dry Skin Test on http://www.vaseline.ph/skin-index-test! 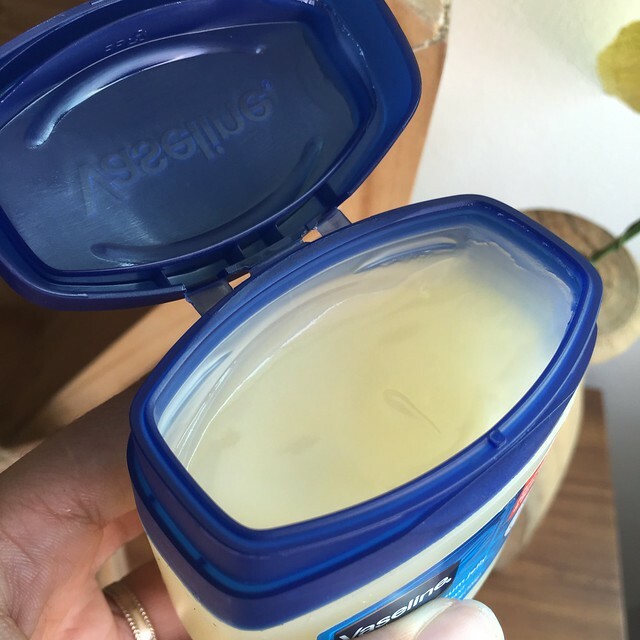 Vaseline Petroleum Jelly is a one-pot wonder that can heal burns, rashes, cuts, bruises, chapped skin and more! I remember using this when I ran out diaper cream when Y was still a baby! It has really become a staple in every Filipino household. I'm excited try this Vaseline Intensive Care Deep Restore which has micro-droplets of Vaseline Jelly that moisturizes deeply. It smells good, absorbs fast and I like that it's non greasy! For a fairer skin, Vaseline's Healthy White Instant Fair lotion now also with micro-droplets of Vaseline Jelly, helps speed up the whitening process with its Optics System and Skin Illuminating Microreflectors. 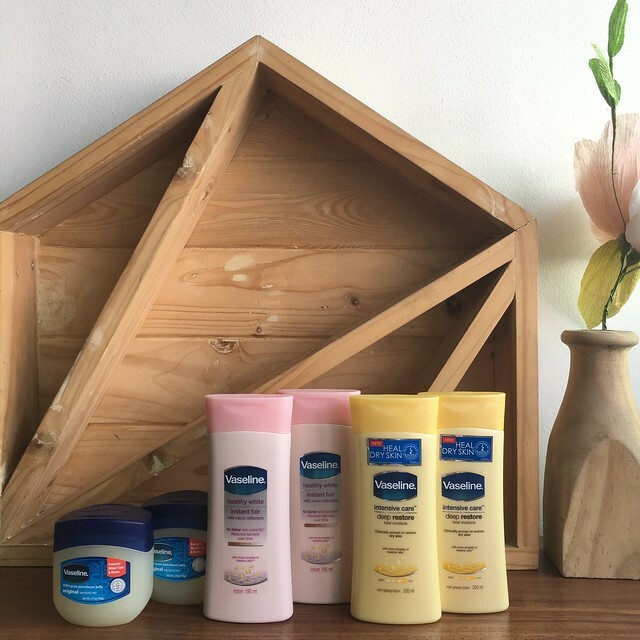 For more information on Vaseline, visit http://www.vaseline.ph/.